VISALIA – Two Lindsay brothers who were high ranking members of the Norteno street gang were sentenced to life in prison last week as part of the largest criminal case in Tulare County history. On Sept. 7, Tulare County Superior Court Judge Joseph Kalashian sentenced Cervando Avalos, 31, to 28 years to life and his brother, Emanuel Avalos, 27, to 110 years and 8 months to life for numerous gang crimes including conspiracy to commit murder. The brothers, both from Lindsay, were arrested as part of Operation Red Sol, an October 2015 gang sweep of Norteno gang members that became the largest criminal case in Tulare County history. They were convicted of the crimes by a jury on July 27, 2017. Cervando was convicted of conspiracy to commit home invasion robbery, attempted home invasion robbery, two counts of conspiracy to commit grand theft of marijuana, grand theft of marijuana, conspiracy to possess and transport cocaine for sale, and possession of cocaine for sale. Special allegations were also found true that the crimes were committed for the benefit of a criminal street gang and that a firearm was used. Emanuel was convicted of conspiracy to receive a stolen vehicle, extortion, conspiracy to commit home invasion robbery, attempted home invasion robbery, three counts of conspiracy to commit murder, attempted murder, possession of methamphetamine for sale, and possession of a stolen vehicle. Special allegations were also found true that the crimes were committed for the benefit of a criminal street gang and that a firearm was used. In August and September of 2015, local law enforcement and the California Department of Justice were conducting a large scale wiretap operation targeting the Tulare County Norteno criminal street gang. During this time, the Avalos brothers committed the crimes of which they were convicted for the benefit of the gang. The conspiracies to commit murder were against a Strathmore business owner and rival gang members. Conspiracy to commit murder and the attempted murder of a dropout gang member also occurred during this time. Both brothers were considered high-ranking members at the time of their arrest on Oct. 1, 2015. The case was prosecuted by Deputy District Attorneys Kirk Davis and Benjamin Taksa of the Major Crimes Division. The case was primarily investigated by the Tulare County Sheriff’s Office and the California Department of Justice with assistance from numerous Tulare County law enforcement agencies. In August and September of 2015, local law enforcement and the California Department of Justice were conducting a large scale wiretap operation targeting the Tulare County Norteno criminal street gang. During this time, the Avalos brothers committed the crimes of which they were convicted for the benefit of the gang. The conspiracies to commit murder were against a Strathmore business owner and rival gang members. Conspiracy to commit murder and the attempted murder of a dropout gang member also occurred during this time. 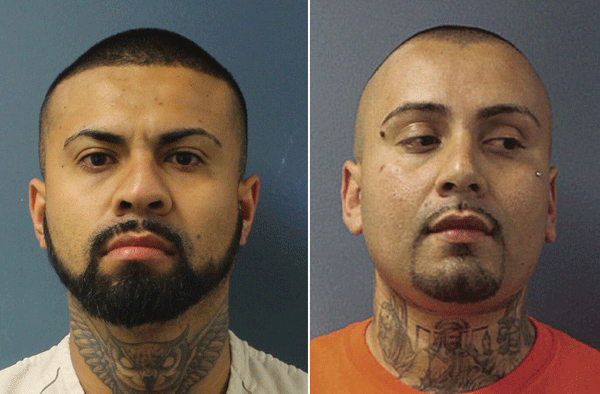 Both brothers were considered high-ranking members at the time of their arrest on Oct. 1, 2015 as part of Operation Red Sol, a sweeping arrest of 81 Norteno gang members that involved more than 300 officers from Valley law enforcement agencies working jointly as the Tulare Area Regional Gang Enforcement Team (TARGET) task force. Over 50 of 81 charged in the Red Sol case have been convicted of or have pleaded to a variety of conspiracy, robbery, drug, and weapons charges. Seven defendants were remanded in to federal custody for prosecution. In December of 2016, a criminal grand jury indicted 11 of the remaining defendants on numerous charges, including multiple murders. The 400-page indictment covers 65 felony charges against 11 defendants named in the October 2015 complaint. The charges include murder, conspiracy, conspiracy to commit murder, robbery, home invasion robbery, possession and transportation of controlled substances for purposes of sales, extortion, grand theft and arson. Sentencing for the brothers is scheduled for Aug. 24, 2017, in Department 5 of Tulare County Superior Court by Judge Joseph Kalashian. The case was prosecuted by Deputy District Attorneys Kirk Davis and Benjamin Taksa of the Major Crimes Division. The case was primarily investigated by the Tulare County Sheriff’s Office and the California Department of Justice.